We have almost 30 years experience in providing a professional cleaning service to some of London’s most prestigious businesses. Reception areas, meeting rooms and offices all benefit from our expert touch. We'll clean telephones and PCs on desks at your convenience and ensure company interiors are returned to a picture-perfect state, maintaining a high standard of cleanliness throughout. Let us look after your common parts and communal areas. We work in both office and apartment buildings, ensuring 100% client satisfaction. Wooden floors and carpets benefit from our expert hands – and products. We’re proud to say we only use eco-friendly cleaning products, so we’ll get the job done at no cost to your conscience. From modern UPVC structures, to more traditional Georgian masterpieces, we’ll clean and maintain your windows – and you’ll be amazed at the results. 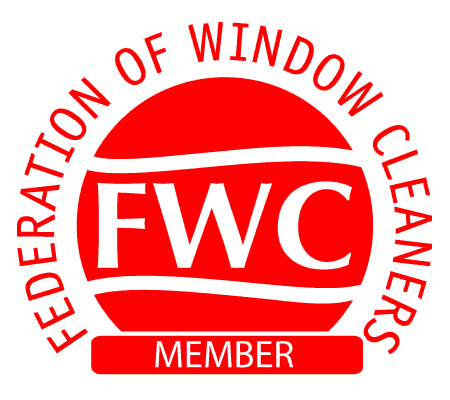 We're Safe Contractor Approved and a member of the National Federation Of Window Cleaners. Our reputation in residential areas is one we’re extremely proud of. Book us in for an efficient, trustworthy and expert service that won't break the bank. Struggling to get those stains out of your stone floor? We now specialise in stone cleaning and restoration, so you can leave your precious property feature in our capable hands. Our tailored service has been meeting the needs of property managers, agents and residents for nearly three decades. So we know a thing or two about providing an inspection-worthy service. We use state of the art cameras for inspecting gutters prior to cleaning, and to monitor your work during cleaning. Losing patience with your upholstery? We have experience in cleaning a vast range of fabrics, so don’t hesitate to give us a call. Maintaining a clean property isn't always easy –which is why our services extend beyond the initial consultation or service. We'll match you with the correct products for your property. How's that for first-class service? Professional roof cleaning, carried out in time, can save you on big repair bills. Cleaning can greatly reduce the risk of expensive roof repair's and improves the value and appearance of your building. We provide high pressure jet washing services with a superior cleaning process for commercial and residential customers in London. From office parties to various functions and events, we're the experts when it comes to cleaning up following the fun times. Leave the hard work to us. Our Handyman Service provides expert maintenance services for homes and commercial properties in London. Get in touch for a no-obligation quote today. Our handymen are multi-skilled, punctual, polite, carry I.D. and will always leave your property tidy.